or business decisions. Consequently, if policy makers want individuals or corporations to invest in EE so that society can realize the benefits, they have to address the drawbacks that inhibit individuals or business houses from making these investments. It is of high importance to address them, since these negative factors can limit the extent of involvement of private capital, and the process of implementation of EE measures. Reduces local air pollution resulting from lower energy consumption. Lowers C02 emissions associated with lower energy consumption. Allows using less fuel and lighter generators. 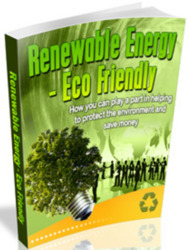 Reduces energy use in industry and consumer energy bills. 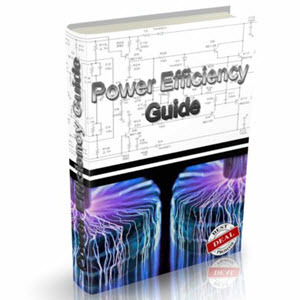 Reduces electric and heat production, transmission and . distribution losses. Informs consumers, raises ^consumer awareness by labelledN I products in stores, distribution of | I high-efficiency goods, and greater I production of high efficiency models by manufacturers. Promotes important national development goals, like clean air, energy services for rural populations, fuel import reductions and more efficient domestic industries. Greater international .competitiveness of domestic/ manufacturers. allow the governments to invest in EETs and the markets to offer rebates and other incentives to increase the number of purchases of cost-effective measures. Subsidizing new energy efficiency measures will help them to gain market acceptance and will thus facilitate market transformation. The general perception is that, without subsidies, there is little customer investment in cost-effective energy efficiency. However, this type of incentive approach has drawbacks. Incentive programmes do not eliminate the underlying market barriers for most customers. Large segments of the potential market for such measures have not chosen efficient alternatives despite the availability of rebates or subsidies as part of the upfront costs. And among those who do participate, many do not repeat such purchasing patterns. Subsidizing one customer's savings with other customers' money can create resentment that undermines public support for and limits the sus-tainability of such programmes. However, the most significant drawback to incentive programmes is that they can have the unintended effect of limiting customer investment in energy efficiency. Customers learn to buy only those products that someone has determined merit a subsidy. Products without subsidies or with low subsidies, even if they are more cost-effective, become less desirable and less likely to be purchased. For example, when the state and federal tax credits for solar water heaters in the US ended in the early 1980s, the solar industry collapsed, even though the technology had improved and its cost effectiveness had increased as a result of rising energy prices. Thus, the key for success for long-term effects is the innovation in new technologies. There is a benefit in creating new technologies, improvements and innovations where the range of goods and services available for purchase are limited. Another drawback of energy efficiency investments is the small market for energy efficiency products and services. Typically in a free market, customers choose vendors that offer desired services at reasonable prices. In such a scenario, there is little or no government involvement. This ensures that customers will get the best price and can buy only the goods and services they want. It is based on the assumption that entrepreneurs will invent and market products if it is financially beneficial. However, the free market approach only works if the market for efficiency is structured in such a way that customers can actually express their desire for energy efficiency through purchases. This type of market structure does not exist in many parts of the world. Risks are another drawback of EE. EE investment involves borrowing capital; therefore the lenders and other investors must evaluate all risks which could affect their expected returns: project risks, credit risks and sovereign credit risks, as well as commercial and political risks. Consumers are risk-averse and most of them are not likely to pay an upfront cost for an efficiency measure, even if they are aware that there are life cycle savings and that the initial outlay is affordable. Additionally, electricity distribution companies and energy providers whose earnings decrease when electricity sales decrease may be reluctant to participate in energy efficient programmes and services that significantly lower their sales. 31 This argument applies not only to consumers but also to firms: There are still only few small- and medium-sized companies in transition economies interested in energy-efficient technologies due to their high initial costs. For large firms, many efficiency investments are too small to be attractive because of high transaction costs (Sudhakara Reddy 2004). of the cost of energy-efficient equipment, often, but not always, is higher than the costs of inefficient equipment while total lifetime cost of the former is always lower. These are the issues that the industrial management must study and take account of. If firms (due to lack of capital or difficulties in getting loans) require very short pay-back periods, while the country as a whole could sensibly invest with longer pay-back periods, then the level of EE investments by industry will be lower which would make it optimum for the nation. That situation would justify government measures, such as tax relief, subsidies, environmental regulations or advertisements to motivate firms to install more EE than they would do on their own. In countries, where the economic situation is not yet stabilized, investors seek short-term paybacks. When a company invests in energy efficiency, it reduces present earnings. This company will benefit in the future, but financial markets prefer and favour companies with high present earnings. Companies and governments tend to prefer short-term options despite the fact that energy efficient policies would save them money in the long run. The environmental sector has not attracted much investments and therefore there are few opportunities for investors, and most risk-averse portfolio managers understandably avoid many such programmes. Only low risk projects with the quickest payback and greatest return can get financing in the environmental sector. EE payback periods vary from a month to several years. The private sector is interested in payback up to two years. A study by Hagler Bailly Consulting notes that, '(...) in many emerging market countries, where interest rates and inflation remain high, only projects with a payback of one year may be considered attractive by the market until inflation and interest rates are reduced'.32 With such short paybacks, only the best EE projects will be attractive. According to OECD, 'Local currency has generally only been available for very short-term loans in most EIT countries, for example up to one year. A one year term does not generally cover the payback period of many efficiency projects. '33 Even if the situation changes, the investment may never be earned back. This is a disincentive for choosing EETs. Beside initial high costs, uncertainty is a major drawback. Future economic, technological and political conditions are not foreseeable. EE is an outcome of human interaction and the concept is therefore inter-linked with political movements, which may change over time. 32 Hagler Bailly Consulting 1995.